Offering two looks in one, Adonia is a two-piece strapless misty tulle A-line gown offering a deep sweetheart neckline with a sheer modesty panel, and beaded lace appliqués that generously adorn the dropped waist bodice flowing down the skirt to a clean tulle hem finish. 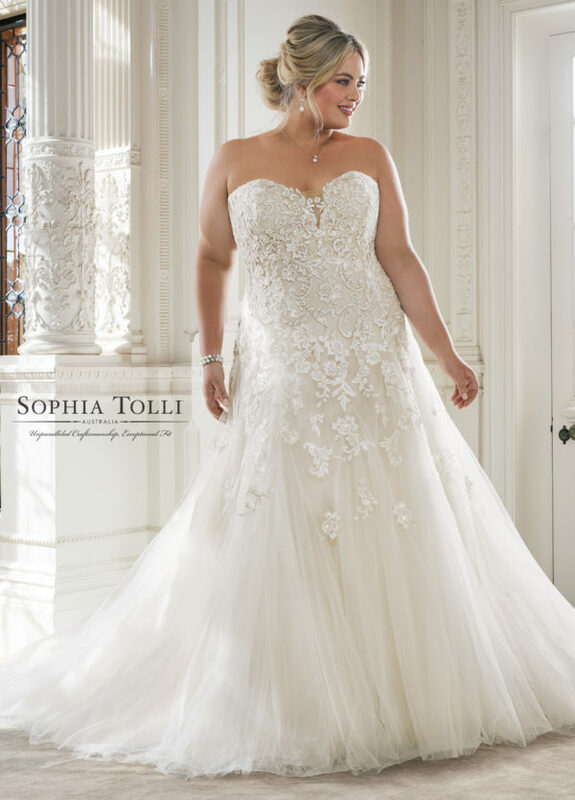 A back zipper trimmed with diamante buttons and a chapel train complete the look. A removable sheer tulle halter shoulder piece with beaded lace is included. Standard removable spaghetti and halter straps are also included. Adonia is also available with a back corset as Y11866LB.